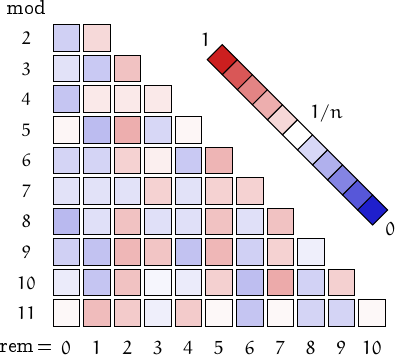 Perrin numbers are members of the sequence defined by the recurrence , , and for . Lucas proved that if is a prime number, then divides . The composites that show the same behaviour are quite rare and are called Perrin pseudoprimes. The first are 271441, 904631, 16532714, 24658561, 27422714, 27664033, 46672291, 102690901, 130944133, 196075949. 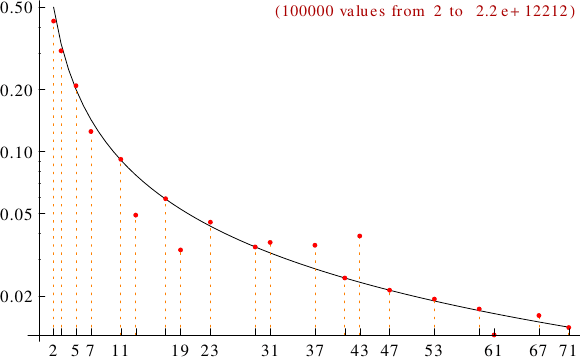 A graph displaying how many Perrin numbers are multiples of the primes p from 2 to 71. In black the ideal line 1/p.